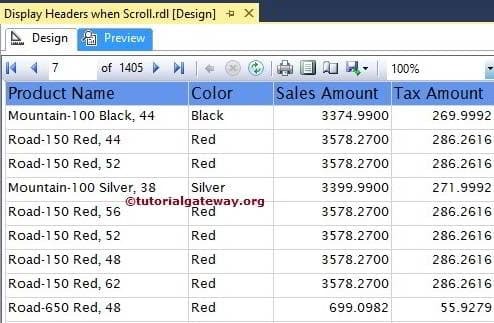 In this article, we will show you, How to Keep Headers Visible While Scrolling in SQL Server Reporting Services. 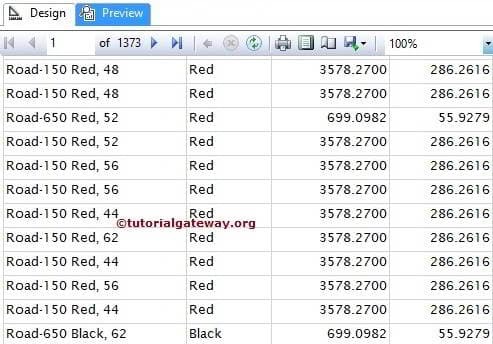 This is one of the common requirement that you might face while developing the Table, or a Matrix reports. 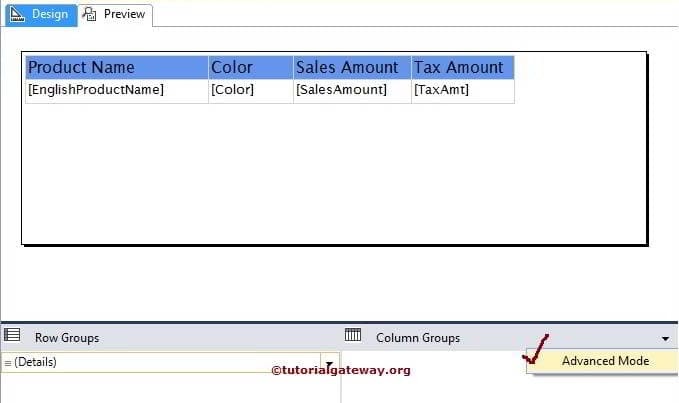 We are going to use the below-shown report to explain, Keep Headers Visible While Scrolling in SSRS Reports. Please refer to SSRS Table Report, Data Source and Dataset articles to understand the creation of Data Source, Dataset and Table report. 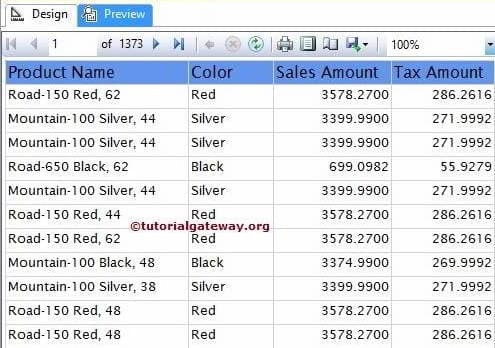 From below screenshot, you can see, It was a normal Table report with Product Name, Color, Sales Amount and Tax Amount columns. If we Scroll Down a bit we are unable to see the row headers. 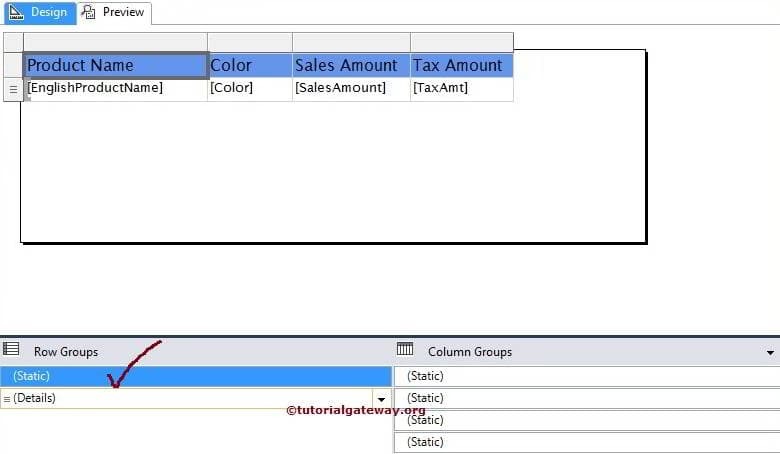 This becomes very problematic to identify which column data belongs to Sales and Tax as shown in below screenshot. To display the row headers while scrolling in every page, We have to select the Header from the Row Group pane. By default, only detail rows will be shown in row group pane. Click on the Preview button to see the report preview. If you observe the above screenshot, We are showing the middle of the 7th page and the report is displaying Header text.